On March 19 my uncle Jack passed away. He was 71. Jack and my Aunt Rhonda had been married a long time, but I didn’t really know him until my kids and I stayed with them during our vacation in Colorado Springs in 2015. They had invited us to visit for years, but my mom had planned to take me and my kids to Colorado the summer she passed away. It took me six years to confront the pain of going to that beautiful state without her. They were wonderful hosts. I parked my car in their garage when we arrived and I don’t think I took it out again until we left. They slept on the living room floor and gave Sydney, Blake, and I the three bedrooms. Rhonda took most of the week off so she and Jack could spend it with us. Even when she had to go into work, Jack drove the kids and me around. During our visit he was hospitable, selfless, attentive, and treated us like he had known us his whole life. I believe I gained an uncle and a friend that week. Jack and Rhonda helped me heal from six years of pain. Since that first trip I’ve been to Colorado Springs several times and I’ll never go to Colorado without thinking about Mom and Jack and Rhonda. I hope Jack tells Mom about our trips to Colorado. I think she would enjoy hearing about them. I felt a connection to Jack that I have rarely experienced. I admired him. I enjoyed him. I liked getting to know him and I loved having discussions because he was ruled by reason. Jack was a deep thinker and I valued his opinions (even when I disagreed) because he had carefully thought them through. He received a PhD in Sociology from the University of Missouri in 1994. He had many published writings and had asked me to read his current book project before he submitted it. I felt both honored and intimidated at the invitation. We had running in common, though he completed and succeeded at a much higher level than I ever will. He attended Fort Hays State University and won a national championship in cross country in the 1950s. I was numb all week until I spent most of my Sunday writing my memories of him for his funeral. That forced me to face reality, accept my grief, and begin the mourning process. I’m hurting. I struggle to focus, to write, to care, to feel. I’ll always miss him, but like the others in my life that have preceded him in death, the pain will ease and the hurt will heal. At first I thought I would make it to the funeral. Then it turned out that I couldn’t. I’ll be at his house in May, and I hope I can get the closure then that I missed from not attending his funeral. I realize that few reading this knew my Uncle Jack. But we all understand the pain of losing loved family members. Thank you for allowing me to process. I don’t think I could have written about anything else this week. This is the only place my emotional energy will go. One day a long, long time ago, a species fought for survival. 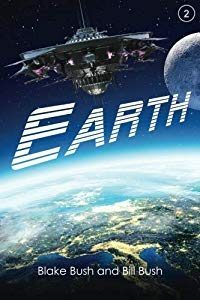 Not long before that day their survival had been assumed to be infinite—they were the strongest and cleverest, had superior technology, and controlled the universal traffic and economy. The chilling space-bullies were a physically unique and intimidating species. The average adult stood over twelve-foot tall, used all eight of their legs to walk, and any of the eight could double as an arm. Their solid, smooth, and scaly upper bodies culminated with the head of a snake—sharp, pointed teeth on bottom, four fangs on top, a small slit for a nostril, and bulging, beady eyes with no eyelids. They were hypnotizing in every sense of the word. But just as seasons change, so did their place in the hierarchy of races. Their overbearing methods developed many enemies who rose up to overthrow their high-handed oppression. Because of this revolution, the towering creatures with eight legs that ruled the universe are now no more than monsters that fill our horror stories and haunt our dreams. But before their overthrow, they had one last mission, designed and fulfilled with the purpose of providing an opportunity for a future return to dominance. Captain Criswal didn’t respond. Instead, the captain’s mind seemed to be as far away as his gaze at the monstrous planet that lay in front of them. Zentron was the largest planet among the known universes, although very few were even aware of its existence. The inhabitants of Zentron had gone to great lengths to keep their existence unknown. The opportunity to destroy another species sounded exhilarating; doing so at the expense of his own race didn’t. Pharghtang’s previously unnoticed presence and squeaky voice seemed to bring the captain’s focus back into the flight deck of his spaceship. “Yes, Minion?” The captain used the term degradingly, but Pharghtang always took being called the captain’s minion as a source of pride. Zryolk assumed Pharghtang and his dumb, scrawny, nine-and-a-half-foot-tall body was so desperate for a connection with others that he created one in his own mind by accepting the putdown as a sort of pet name. It explained why Pharghtang seemed to enjoy being picked on by the soldiers. Pharghtang wasn’t a soldier, but a gopher—primarily for the captain, but in practicality for anyone who felt like abusing him at any given moment. As the primary pilot for Captain Criswal, Zryolk had plenty of opportunity to be around the minion. At first Zryolk had tried to get to know Pharghtang, to understand why he thrived on the negative attention. He had had to abandon his attempt when Pharghtang was completely uncomfortable with the positive attention and of being treated with respect. Although it didn’t satisfy his inner curiosity about Pharghtang, Zryolk was happy to treat him as an underling. Pharghtang bowed to the captain as if he were king, then scampered from the room. The captain paced the flight deck. Zryolk focused on flying the spaceship. “We’ll be in position in less than five minutes!” Talistian, Zryolk’s co-pilot, spoke to the captain, but said it loud enough for everyone on the flight deck to hear. “Yes, Captain?” the quiet and unassuming lady in the back corner replied. “Yes, Captain.” Charks began talking into her transmitter. Zryolk knew Captain Criswal wasn’t excited about their plan, and had made his disagreements known. He also knew the captain would fulfill his orders, as much as he disagreed with them. For better or for worse, this was now their best option to ensure a resurgence to power one day. “Put him up on the big screen,” the captain ordered. Immediately two large green faces appeared on the front window of the flight deck. “Greetings, and welcome to Zentron,” said the man with a large nose and wrinkled skin. “Exactly as we require,” said the captain slowly. His eyes locked for several tense moments with hers. Captain Criswal seemed to lack sympathy for their precarious position. “My assistant will keep General Merkes updated on our progress. If at any time this mission goes bad, he will order an assault on your planet. All our troops throughout the universe will be contacted with your location and given instructions to abandon their current battles, locate your planet and destroy it beyond recognition. Zryolk gasped in shock at her irreverent boldness. An awkward silence followed, and Zryolk could swear that Limon’s face now matched the color of her hair. “Everything is as you requested,” Xandor said diplomatically. Neither Xandor nor Limon wanted to help the Snaders secure the means by which they could regain dominance in the future, but the man didn’t show his discontent. Zryolk would have felt the same way were they in opposite places. The Snaders were used to—in fact, preferred—that others didn’t like them or want to cooperate with them. They prided themselves on instilling fear in order to get what they wanted. “Understood,” Xandor said before the screen went blank. Half an hour later Captain Criswal and Zryolk stood outside the spaceship on Zentron. Charks was with them maintaining contact with General Merkes on the radio. They wore special bodysuits that covered every inch of their skin to protect them from the cold. Although the bodysuits were thin, they were impenetrable by the cold. Captain Criswal didn’t understand how, but even with his face covered by the bodysuit he could see through it clearly and could breathe without restriction. Pharghtang, distinguishable only by his small size, drove a large ten-wheeled vehicle out of the spaceship and stopped just short of where the captain and Zryolk stood. The red, rectangular vehicle required two engines to haul the trailer and the weight of the load it carried. The trailer was thirty feet long and twelve feet wide. With the weight of the cargo, it traveled less than a foot off the ground. Captain Criswal shuddered as his gaze froze on the trailer’s freight, a box thirty feet long, seven feet wide, and five feet high. It was made of a special metal that was two feet thick on all sides. The rectangular metal box had several slits on each side, with red and white smoke constantly flowing out. Twenty troops marched behind the trailer, each wearing identical black bodysuits as the captain. They split formation—half going on each side of the trailer—and lifted the heavy coffin-shaped box. Pharghtang carefully pulled the vehicle forward so the trailer cleared the box, then made a U-turn back toward the spaceship. Pharghtang drove the vehicle back into the spaceship, then returned to join the others. Although it was night, three bright moons—two half and one full—lit the sky. The land was flat, the ground frozen, and they could see for miles. There wasn’t anything in sight. Criswal didn’t hear what Pharghtang said because he had seen exactly what Pharghtang and the rest of the crew saw—Xandor and Limon appearing out of nowhere. “One second there was nothing, and the next those two greenies were walking toward us,” Pharghtang explained to the troops holding the front of the box. Xandor and Limon approached the group walking on two legs and casually swinging two arms. The captain had always thought it strange that other races could balance so well with only two legs. He couldn’t imagine functioning without eight interchangeable appendages. With their green bodysuits on, at first the captain couldn’t tell Xandor and Limon apart. As they neared, he saw how Limon’s hair puffed up her bodysuit on top, where Xandor’s bodysuit fit snuggly over his bald head. “Shall we proceed inside?” Limon offered. Limon glared, but to her credit held her tongue. She turned and walked with Xandor behind her. General Criswal motioned for his men to follow. When Xandor and Limon reached the spot where they had appeared, they disappeared. Everyone in the visiting party stopped. Captain Criswal sensed the reluctance they all had about passing the point of disappearance. He swallowed hard and took the last three steps quickly, before he could consider what other options he might have. As soon as he crossed into the invisible bubble he saw Xandor and Limon, thirty feet ahead, waiting in front of the building that had been invisible to them a few seconds before. The building looked like a domed roof. Xandor pressed a code into a number pad on the side of the building and the whole front wall (at least from their angle) began to lower. Once everyone was inside, Xandor shut the wall. Captain Criswal, Zryolk, Charks, and Pharghtang stood at the far end in the center of the room with Xandor and Limon. The peak in the room allowed them to stand up straight. The box took up the remaining length of the room. The accompanying entourage on either side holding the box had to bend over because of the sloped ceiling. The troops set the box down on the ledge that ran down the center of the long room. Once the door had shut, a steady hum began and the floor slowly descended. After several minutes they came to a sudden and jerky stop. A few seconds of quiet, and the humming noise began again. A ceiling crossed above, gradually entrapping them in a boxed room. Xandor grunted, and Captain Criswal smiled at his frustration. He was tired of Xandor’s proud touting of his innovation. He just cared that Xandor did what the Snaders required. How he did it didn’t concern the captain. 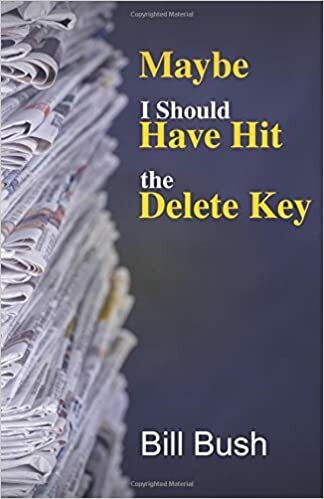 He gave the captain a nod, which the captain hoped meant that he understood the time pressure they were under, and began typing in a code to the transmitter he carried with him. Air began to blow into the room from all directions. The pressure of the air pushed on all sides of his body. It was unpleasant, but expected. In spite of their preparedness, several of his troops complained. Their panic was short-lived, because within seconds they couldn’t move a muscle. The extreme air pressure was necessary to keep everything and everyone from being tossed around during descent, and to keep them from imploding from the force of the drop. Nothing would be able to move. Even though he didn’t have eyelids, the captain wasn’t able to see much. His gaze was frozen on the box. As the air continued to thicken, visibility decreased. There was virtually no peripheral vision, and seeing straight ahead was quickly becoming impossible as well. When his vision reached the point he couldn’t clearly make out anything through the thick air the captain heard a loud roar, sounding not unlike his spaceship when it roared to life. The roar meant they were already moving toward the core of Zentron, quickly picking up speed. In less than a minute the rumble reached its peak and they were moving at top speed. They would cover the ninety thousand miles in about twenty minutes. The captain had done the math when they’d first learned about the mission. They were traveling at forty-five hundred miles a minute, or two-hundred and seventy thousand miles an hour. That was not fast for an interstellar spaceship, but completely unheard of for planetary travel. He remained frozen and could not tell at all that they were moving. The thick air secured them during the journey, protected them from being hurt at the extraordinary fast take-off and speedy travel. The one question the captain never got a satisfactory answer to was what they would do if there was a problem during their travel to the core of Zentron. The answer given him, which he didn’t like, was that there was nothing they could do. They had been assured, however, that Xandor and Limon had done everything possible to ensure there would not be any issues. Being frozen by the thick air prevented them from reacting to anything that might go wrong. In reality, there wasn’t anything that could be done at these speeds, and he didn’t want to trouble his mind over a very unlikely event. But now that he had twenty minutes of nothing but his own mind, that’s all he could think about. Well, that and peanuts. He hadn’t had any peanuts since they left on their journey nearly a year ago. At the end of the journey the roar slowly faded until it went silent altogether. The air immediately began decompressing and within a minute everyone had full control of their bodies again. The wall nearest the captain lowered. Xandor and Limon led them into a room that was about the size of the captain’s flight deck. The room was completely empty, except for a long slab of stone in the center. The captain knew from his training that the core of Zentron was twenty times the temperature of the hottest sun of his home planet. 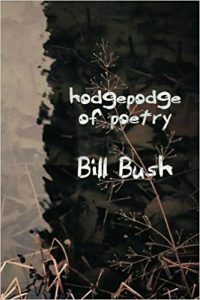 Without the invisible protective barrier—he couldn’t fathom how it kept such heat safely and securely out—they would have disintegrated early into their journey downward. The heat would not bother the casket. It was frozen with a special chemical that would protect it in any conditions, even the most extreme heat and cold. Captain Criswal was impressed with the arrangements. He would never admit that to Xandor. The troops walked their cargo to the center of the room and set it carefully onto the foot-high slab, built to be the perfect size to hold the box, then stepped back and a curved tube rotated from below, encasing the box on the table within glass. The tube melded, and within seconds was seamless. Although a few slits allowed smoke to roll out, there was no visible means of opening the glass tube. Xandor told them all to stand back. A glass case lowered from the ceiling and encased the tube. The glass was three feet thick on all sides, including the top. It would take a pure-blooded Snader to open the glass cage and release the box and its contents. “How does it work?” Captain Criswal asked. “Or toe or tongue,” Xandor quickly added. “What happens if the person isn’t a pureblood?” Zryolk asked. “They don’t get their finger back,” Xandor said. Some of the men cringed, but Captain Criswal smiled and nodded his understanding. He admired the box with a reverent awe. This had been a surreal assignment and now that they were near the end, he was overwhelmed with the magnitude of what he held. The captain thought she meant it as a statement, but it came out as a question. The captain meant it as a question, but it came out more as a threat. “We were promised that if you ever returned for your package and it helped you return to power, that your people would allow us to live in obscurity.” When Xandor spoke it was with a lot of doubt. “Of course,” the captain said without conviction. Charks informed General Merkes that the merchandise had been secured, and they were about to return to the spaceship. Within thirty minutes they were on the ship making preparations for take-off. Another ten minutes and they were leaving Zentron. Charks gave General Merkes the all clear. The captain sat in his chair on the flight deck, satisfied that their successful effort on Zentron would provide them with the opportunity to someday once again conquer and rule the universe. With the considerable distance they needed to travel and the necessity to avoid the warring areas, it would be months before they would return to their home planet. Most likely by then the war would be over and they would be facing a mandatory exile. They had only been en route a couple of hours when the alarm on the spaceship started blaring. The captain had returned to his bunk to update the ship’s log, and was deep in thought when the alarm went off. The captain rushed to the flight deck. “Captain on deck!” Pharghtang shouted. Captain Criswal was quickly updated on their unexpected guest that was nearing. “What are you talking about?” Zryolk asked. Charks continued her attempts at reaching the spaceship, with no response. They veered away from the other spaceship and thought their message had gotten through as the other spaceship seemed to back off. But after a few minutes it started to quickly close the gap between them. As the ship neared they could read the words on the side. It was one of the council’s spaceships. He quickly left the flight deck and returned a few minutes later with the council’s spaceship almost upon them. The captain looked up at the big-screen monitor on the front window and saw the council’s emblem on the front of the ship. He knew Zryolk was correct. It was at that moment the other spaceship opened fire. “Full throttle!” The captain shouted again, this time with extreme urgency. Immediately Zryolk took their spaceship to maximum speed. They quickly created some space between them and the council’s spaceship, but it wouldn’t take them long to catch back up. “Yes sir!” Charks abandoned trying to contact the council’s spaceship to call the battle room in the back of the spaceship. Talistian took over the piloting duties as the captain led Zryolk through the door to the hallway outside of the flight deck. “But captain…” Zryolk looked astonished. “Okay, sir.” Zryolk nodded his head. “Call me on the secure phone when you reach the pod.” The captain referred to the phones that he, Zryolk, Talistian, and the General carried that were dedicated solely to communicating with each other, in case of emergencies similar to what they were undergoing. “Yes, sir!” Zryolk said, then disappeared down the hallway. The captain returned to the flight deck just in time to see the council’s spaceship open fire again. He hurried to his seat and buckled in. He gave the orders to retaliate, and the battle was in full force. They were sustaining a lot more damage than they were delivering. The captain felt his phone vibrate, indicating that Zryolk was in the escape pod. He pulled down the monitor suspended above him and connected his phone. A soundproof glass tube surrounded him, giving him privacy so no one could hear what he was about to say. “You know?” Zryolk’s voice was filled with bewilderment. “Captain, I-I-I don’t know what to say…” Zryolk’s voice cracked from emotion. The captain programmed a code on the screen floating in front of him. The escape pod disengaged from the spaceship and started hurtling away, quickly putting distance between it and the spaceships. But the captain didn’t have time to watch. He had to act quickly before the council’s spaceship could send their own posse after Zryolk. He removed the tube from around his head and began barking out orders. Immediately on the monitor in front of him flashed a message that the co-pilot was transferring all the ship’s controls to him. The captain accepted and began to steadily and quickly slow the ship’s speed. The council’s spaceship behind them also slowed down to avoid a collision. The fighting remained intense and the slower speed was causing them to take more damage. The captain wasn’t worried about the extra damage. He knew they weren’t getting out of this alive. His focus was on preventing the council from sending anyone after Zryolk, which he knew they were in the process of doing. When the captain had slowed down as much as he thought he could risk, he sped the ship up to full power. He knew his crew would wonder what he was doing, but he didn’t have time to explain, and in a couple of minutes it wouldn’t matter anyway. He increased his spaceship to full speed, and as he expected the council’s ship sped and began making up the ground. “But captain, they have yet to respond,” she replied. When the council’s spaceship had closed the gap, and before they could slow to a trailing speed equal to his own spaceship, the captain slammed all of the engines into reverse. This caused an immediate and dramatic decrease in speed—one which the council’s spaceship had no chance of duplicating. The council’s spaceship plowed into the captain’s spaceship and both exploded, destroying all involved. Earth may have been saved, but the Snaders have a backup plan, a secret weapon stashed away against the day of reckoning. Who can stop the rise of the deadliest threat the universe has seen? With Earth secure and Flipper and his family safely holed away in the mountains, it seems that the worst of the Snader-Gude war is over. Allison still needs to be rescued, of course, but the Gudes will handle that on their own. There seems to be nothing more for Flipper to do, even if Josh is frustrated at having to do nothing. 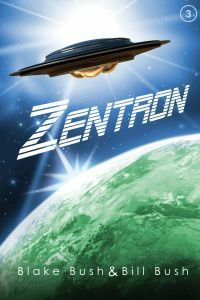 But when Flipper and Josh are kidnapped by aliens—again!—and taken to the mysterious planet Zentron, Flipper finds that the universe needs him once again to foil the ultimate Snader plot to activate their secret weapon. Aided by the ever-faithful Josh and Anna, Allison’s dog, Flipper will have to do everything in his power to help the hapless Nerds repel the coming Snader incursion and prevent the Snaders from retrieving their most prized asset and gaining the power to turn the tide of the war. Flipper stared at his dead cell phone in disbelief. Had the Snaders sabotaged it? Surely not! He had only been home from Vetrix for a day. How could they have followed him to Earth already? When he realized the truth it horrified him even more than the thought of attacking Snaders. His mom marched into his room with her I’ve-made-a-decision-and-don’t-even-question-it eyes. He knew better than to say anything. Flipper hung his head. He wasn’t doing anything wrong; only telling the truth. It wasn’t his fault his parents didn’t believe him. He wanted to protest, but he had used every argument with his parents yesterday. They were furious with him because they didn’t believe his story about helping the Gudes save their planet Vetrix. It was vague, but Flipper honestly had no idea how many he had spoken to, which was sure to make his mom’s head explode. Thankfully, she didn’t press him further. Flipper gulped, fighting back a wave of tears and anger. He managed a nod. His mom left the room; left Flipper alone, frustrated, and confused. The students of Roswell Middle School stared as Flipper walked by, quietly whispered when he passed, and surely laughed out loud once he was out of sight. Three days removed from saving the planet Vetrix and he was the laughing stock of Roswell. If this was how his friends were treating him, he couldn’t imagine how the rest of the world was making fun of him. His parents banned Flipper from watching television, but late last night, well after he was supposed to be asleep, he snuck to his parent’s bedroom door and listened as the news reporter from CNN made fun of the boy from Roswell who disappeared for a week and claimed to visit another planet. He also listened to his mom weep and his dad try to console her. Flipper wanted the story to go away for his parent’s sake. He hated seeing them upset. But General Jaxxen had said the Snaders might try to attack Earth. Shouldn’t he try to warn everyone? Maybe if he could find just one person to believe him. Flipper recognized Baxter’s booming voice before he saw him. Baxter was the first sixth grader to go through puberty. Josh, his back to Flipper, was telling his tale to Baxter, who’s eyes were intensely focused in on Josh. Maybe someone believed! A crowd quickly gathered as Josh told his story and Baxter hung on every word. Hope sprang alive in Flipper. Maybe the whole crowd believed. They looked like they did. Maybe they could recruit a group of middle schoolers to spread the word of the coming aliens. Or even better, they could come up with a plan to stop the Snaders. “I thought he didn’t believe in aliens,” Flipper heard one girl say. “It should be a movie,” another commented. “Did you wear your alien costume down there?” a third shouted at Josh. “Quit mocking him!” Flipper had never been confrontational, but after facing Snaders, run-of-the-mill bullies didn’t intimidate him. “Yeah, leave him alone!” Allison stepped to the other side of Josh. Flipper took his seat beside Allison and behind Josh. Mrs. Smith quieted the class and Flipper dreaded her reaction. What happens when she looks at me? Will she say anything? Surely not. Will she laugh? Will her eyes linger? If they do, what will everyone else think? He knew he should pay more attention to Mrs. Smith’s voice as she reviewed the material the class covered last Friday, but he was fixated on her eyes. Minute after minute passed and they didn’t once land on him. He glanced at the ticking clock on the wall and rushed his eyes back to Mrs. Smith. Twenty minutes into her lecture and she hadn’t once looked at Flipper. In fact, he was almost certain she hadn’t looked at Allison or Josh either. It was game on now. He unabashedly stared at his teacher, willing her to return the gaze. He knew if she looked at him he would instantly look away. He still didn’t want her to look at him, but he also double-dog dared her to with his eyes. She started down the far aisle. With her back to him, Flipper gave up and pronounced himself victor, though it was a shallow victory because he would have declared himself victor whether she looked at him or not. Flipper shrugged. They didn’t know about the homework because they weren’t here. Surely Mrs. Smith will give them a couple of days to catch up. What was the big deal? It was sickening and over the top. She had never been this nice in her entire life — Flipper was sure of it! Flipper wanted to shout. Mrs. Smith knew Allison didn’t have the assignment done. She hadn’t even known about it until now. It wasn’t a question and Mrs. Smith was no longer looking at Allison but at Flipper. Flipper wanted to look away but was too afraid. “But it’s unfair,” Josh protested. Whew! Mrs. Smith took her eyes off of him! The bell rang but no one made a move to leave. Flipper wanted to run but his legs wouldn’t move. “But we were looking for Flipper,” Josh continued. “I’ll hear none of it.” Mrs. Smith spun on her heels. Mrs. Smith had just chastised Allison and Josh both. Flipper had to say something; he needed to take the blame. The class roared. He knew as the words left his mouth they didn’t sound quite right. Something had happened between his brain and his mouth that scrambled what he meant to say. By now the next class began arriving. Still the students from his class remained and the classroom was nearly full. Flipper blushed at the thought of everyone watching him. Flipper bit his tongue. He couldn’t make her happy without lying and he couldn’t lie and betray Allison and Josh and Jake and Alya and Chezlor and Fox and Nicole and General Jaxxen and Dr. Needles and Brianna. “I didn’t exactly go with an alien,” he mumbled. Other classes had apparently gotten word of the exchange and were scrunching in to get a view of the confrontation. All remained silent, staring at Flipper and awaiting his confession. “I said I didn’t go with an alien.” His voice was clear and he made sure those in the hall that couldn’t see him heard what he had to say. “I was asleep and the alien took me. Kidnapped me. 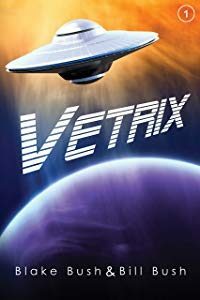 I woke up on a planet called Vetrix and helped them fight off the Snaders. I had to — it was my only way back home.” It was the truth and if they didn’t like it, so be it. Associate Pastor Owen Rodgers had a kind smile and relaxed demeanor. Flipper liked Pastor Rodgers, but he had never been alone with him. He paced slowly as he moved his thumb and middle finger back and forth causing Owen’s name plate to flip up and down in his hands. He recounted the recent events, including being kidnapped twice, saving Vetrix from the Snader attack, and the pressure he felt because no one believed his story. Of course, Owen didn’t believe Flipper either, but he smiled, was non-judgmental, and didn’t interrupt except to ask clarifying questions. In fact, when Flipper had finished, Owen didn’t chastise him for lying, or laugh at him, or excommunicate him, or anything like that. “Sure.” Flipper knew these lessons well from Sunday School, but he wasn’t sure what they had to do with aliens. Boy, was Flipper in trouble! The national news and radio talk shows were making fun of the trio of kids from Roswell, New Mexico, who pulled a hoax, disappeared for a week, then claimed it was all because of aliens. To his parents chagrin, Flipper continued to insist his story was true, as did Allison and Josh. Their parents were furious, but also concerned, because they didn’t know where the kids had been all week. Finally, Flipper had argued with a teacher about the aliens and now had detention through his third year of college. Wow, he nailed it! Flipper felt like Pastor Rodgers had reached his finger inside his body and scraped a raw sore and caused it to start bleeding again. The pain was unbearable and he had to sit. The pastor had hit on something deep and painful. Flipper was a hero on Vetrix. On Earth, he was a joke. Jesus cried too? He wished Jesus had two good friends like Allison and Josh. He knew what Jesus did to prove He was right; He came back from the dead. Flipper needed a different idea. How did Moses and the prophets convince others? Allison bounced up and down on the bus seat. “You two have been bickering all morning,” Flipper complained from the seat across the aisle. They were on a field trip to the UFO Museum. Allison had lived in Roswell, New Mexico — home of the supposed 1947 alien crash — all of her life, yet had never been to the museum. In fact, she hadn’t realized how much she wanted to go until her teacher announced the trip two weeks ago on the first day of sixth grade. Unfortunately, her cousin Flipper and their best friend Josh didn’t want to go. She wasn’t about to let them keep her from enjoying the experience. When they arrived, all the kids set their drinks on an empty table, away from the main area. There were dozens of displays with pictures and articles. Allison made a beeline to the closest display. She wanted to read them all! Before she started her teachers called everyone together and introduced the tour guide for the morning. “This is crazy,” Josh complained. “Disney princess fairy tales are more interesting…and realistic.” Josh gave a wry smile. “You have no taste,” Allison spat. For thirty minutes the tour guide led them through the museum, explaining the events that occurred on July 2, 1947, and talked about other UFO sightings. Allison hung on every word. She loved space and hoped there were really aliens out there somewhere. When the tour ended they took a ten-minute bathroom break. Allison, Josh, and Flipper got their drinks. Josh sucked on his straw and spit it all over his arm. Allison and Flipper laughed. “Why did you do that?” Flipper asked. “This is awful!” Josh lifted his lid and exposed a ketchup packet on the end of his straw. Allison laughed, thinking that justice was done. Josh had been a pain all morning and had it coming. “Right!” Josh said with thick sarcasm. “Josh, clean that up immediately,” their teacher, Mrs. Smith, ordered. “I’ll get you back,” Josh muttered to Allison. Josh and his family had moved to Roswell three years ago. He still wasn’t used to all of the alien displays around town. A flying saucer on the front of the Wal-Mart building? He thought it looked ridiculous. He didn’t understand why it was such a big deal, but a big deal it must be. Here he was with twenty-one of his classmates suffering through the UFO Museum. Josh was bored, irritated with Allison, and couldn’t get the taste of ketchup from his mouth. He had no use for this field trip. The longer their tour guide droned on and on about aliens the more Josh had become determined to prove the alien crash false. He didn’t think anything could redeem the trip — until the alien showed up. The tour guide wore an alien costume; Josh loved costumes and found himself listening intently as the tour guide/alien explained what it was like to come from another planet to Earth. As an alien, the tour guide even had a sense of humor. “I want one,” Josh declared to Allison and Flipper when the alien departed. “I thought you didn’t like aliens,” Allison said snidely. “I didn’t say I did,” Josh mimicked her tone. Allison lifted the straw to her lips and stopped. She removed the lid and peered inside. After a close examination she decided it was safe and tipped her cup and drank. Not only did Josh and Flipper laugh, but so did several other students around them. Allison stopped drinking and watched the laughing kids suspiciously. The laughter ceased but everyone continued to stare her direction. When Allison lifted the drink toward her mouth again the laughter returned. She glared at Josh and he shrugged his shoulders, smiling mischievously. One of their classmates pointed to her cup. Allison cautiously tilted the cup. Written across the bottom in large, black letters was the word DUNCE. “Allison! Josh! Come here!” Mrs. Smith barked. They glared at each other but obeyed. Mrs. Smith marched them out the back door. “I want you two to wait outside while the rest of the class has snacks. Whatever is going on between you two, work it out. The bickering ends now.” She stormed back into the museum. Josh noticed a metal door leading underground and took a seat on it, his chin in his hands. “I love cookies.” He said dejectedly. “But you’re not sorry you put ketchup in my soda?” Josh’s gaze remained forward. “I didn’t do it.” Josh sighed. Flipper sighed contentedly. He didn’t have to listen to Josh and Allison bicker any longer. With no one looking he tossed the extra ketchup packet in the trash and replaced the sharpie in the pencil holder beside the cash register. Flipper shoved a cookie into his mouth — his third — and smiled. 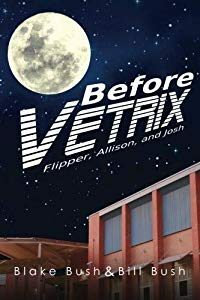 If you enjoyed your time with Flipper, Allison, and Josh, please check out their other adventures in Before Vetrix, or their real encounter with aliens in the book Vetrix. Read the first chapter of Vetrix for free here. Please enjoy some more stories from my friends! Flipper was a normal twelve-year-old kid, or so he thought. Little did he know that a war several million light years away between the Gudes and the Snaders was about to change his destiny. Then again, the Gudes and Snaders didn’t realize Flipper was about to change theirs either. Flipper sat next to Allison in Social Studies thumbing through his notecards before the bell rang. He was dressed as a Nerd. His short-sleeve, button-up shirt was partially untucked and he had a pocket protector and pens in the front pocket. His jeans were pulled up way too high. Flipper wondered how anyone actually wore them like that all the time. He had tape around the middle of his glasses and his normally straight, blond hair was black, greasy, and combed with a center parting. He had come to school with a sign on his back that said Kick Me, but a teacher made him take it off when everyone kept doing just that. They lived in Roswell, New Mexico, only an hour and a half away from Carlsbad, yet Flipper had never been there. He recently did a report on bats for school so his parents had promised they would take him to see the caverns. People sat outside the caves every evening to watch as the bats flew out, just over their heads. Flipper couldn’t think of anything that sounded more exciting. Flipper gave an uneasy smile. “Hey, guys!” Josh said, coming into the classroom. Josh loved to dress up which made Halloween his favorite time of year. He was wearing an alien costume that had over-sized feet. His seat was right in front of Allison. Josh was tall for a sixth grader and his bulky costume made it difficult for him to slide into his seat, which was connected to the desk. Allison and Flipper both giggled. They knew Josh didn’t mind them laughing at him. He liked to be silly and make people laugh. Josh was thirteen but still in the sixth grade. His dad was in the military and when he was in the first grade they moved three times. He had to repeat first grade, which meant he was older than most of the students. He was also bigger, which gave him an advantage when playing sports. Getting up turned out to be harder than sitting down. Everyone in the class laughed at Josh’s struggle to stand. Flipper was sure Josh was smiling, though no one could see it underneath the papier mâché alien head he wore. Eventually, Josh made it to the front of the class and gave his report in a muffled voice. “My report is on the Roswell Incident. On the evening of July second, nineteen forty-seven, several people said they saw a disc-shaped object flying through the air. This was during a thunderstorm. The next day a local rancher outside of Roswell, New Mexico, claimed to have found a piece of what he said looked like an exploded aircraft. On July eighth, the Roswell Daily Record reported that the Air Force base in Roswell had captured a flying saucer. Although the Air Force claims that the flying saucer was simply an experimental weather balloon for a top secret project, many people today believe the United States military found a UFO spacecraft, captured the aliens, and covered up the truth. “Now, every year, Roswell celebrates a UFO Festival during the first week in July. People from all over the world come to visit the museums, talk about aliens, and tour the crash site. My parents told me about the festival in nineteen ninety-seven, which was the fiftieth anniversary of the crash. Hotel rooms were sold out as far away as Albuquerque and Lubbock, Texas. Several celebrities, including Oprah Winfrey, were here. The theater at the mall had a pre-release showing of Men In Black and Will Smith was there signing autographs. Some of the kids clapped quietly. “Thank you, Josh,” Mrs. Smith said. “Good job!” Allison and Flipper both told Josh, patting him on the shoulder as he sat down. Although it was still a couple of hours away from sun set, the dark clouds gave the afternoon a dusk sort of feeling. “Really?” Josh said with surprise. “Yeah. There is so much we don’t know, both in outer space and here on earth. My parents told me the government keeps a lot of secrets from us. 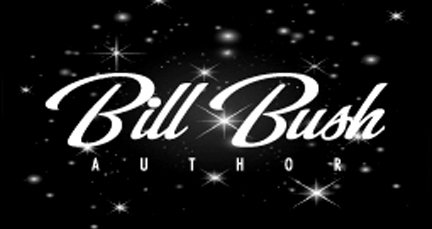 Who knows, maybe there are aliens living here in Roswell.” She shrugged her shoulders. He pushed his glasses up. “I don’t know. It doesn’t seem very likely. I mean, to keep a secret like that for this long. I think someone would have said something. But maybe, if…” Flipper stopped speaking as Allison stiffened and tightly grabbed his arm. Josh kept walking; with the alien head still on he didn’t notice they had stopped. Allison was staring across the street. Flipper followed her gaze. She seemed to be looking at the empty lot. In the back corner stood an evergreen — the kind that looked like a large Christmas tree — looking a bit out of place in the barren field. He saw sparse patches of tall weeds, lots of dirt, and a tumbleweed blowing across in the light, steady wind. He didn’t see anything worth looking at, let alone to be frightened by. He looked back at Allison. Her eyes were glued to the lot and the vein in her neck was bulging. He could tell she was scared but didn’t know why. He suddenly felt cold and uncomfortable. “Are you okay, Allison?” His voice betrayed his nervousness. Allison took a deep breath and relaxed. She let go of his arm, looking down as she did so. “I’m so sorry, Flipper!” He was bleeding where her nail-bitten, jagged fingernails had dug into his skin. “I don’t want to mess up your costume.” Flipper tried to hand the glove back to Josh. “What was that all about?” Josh asked, concerned. “Allison thought she saw something,” Flipper said with skepticism. “Maybe it was an alien,” Josh said, raising his hands and walking towards her — more like a zombie than an alien. Josh laughed with Flipper while Allison stood with her hands on her hips, visibly irritated. Flipper stopped laughing. Josh laughed even harder. “It was okay,” Flipper said without enthusiasm. “Yeah, I think we are outgrowing the whole trick-or-treating thing,” Allison said, slumping onto the couch. “But not the candy,” Josh said, dumping his sack onto the floor, eager to go through it. “Yes, Mom.” Flipper and Allison dumped their sacks on the floor and began eating and trading candy. Two hours later Flipper, Josh and Allison were in their sleeping bags on the living room floor. Although they were only a few feet apart they could barely see each other. The burnt out streetlight left only the dim moonlight shining through the large front window to see by. Flipper was giddy about their trip the next day and talked about it non-stop until Josh fell asleep and began to mumble about playing basketball and being stuck in quicksand. Allison’s dreams that night were intense, and she didn’t feel like she was dreaming. She felt like she had gone back in time — was reliving the previous day — but there was something quite different about this repeated experience, like a long déjà vu. She was back in Social Studies class and Josh was giving his presentation on the Roswell Incident. Everything looked the same as it had that morning, but this time she was overwhelmed by the same strange sensation she had felt when walking home. She felt like she was in the presence of someone important; kind of like when she met the mayor at a dinner she went to with her parents. Except this felt like she was in the presence of someone much more important than a mayor. Allison turned and looked behind her. In what had been an empty seat in the back row that morning sat someone she had never seen before. He was older than the students and had a slightly amused expression. His hair was rumpled and his skin was… She blinked, hoping her eyes would clear. His skin was… Allison gaped at him until he noticed her stare and looked her way. She jerked her head back to Josh, droning on about the Roswell Incident. She felt the presence ease, so she looked back. The man was gone, but she couldn’t get his image out of her mind. His skin had been purple. Brightly, unapologetically purple. Instantly, she was with Flipper and Josh, walking home from school. She froze sensing the same overwhelming presence as earlier. But this time, when she looked across the street at the lot, she saw the purple man from the classroom standing, watching them. This time, she locked eyes with him for several moments. The purple man tilted his head, looking at her, puzzled. The look of confusion on his face mirrored what Allison felt. She looked at Flipper and saw her hand clamped on his arm. She looked back across the street but the man was gone. Allison tossed and turned as her dream intensified. Allison startled awake and sat straight up, sweating, breathing heavily. She was awake, but the intense presence she had felt in her dream was still with her. In fact, it was even stronger. She jumped to her feet and turned around. The purple man was standing in the room with them, holding Flipper in his arms. Flipper was still asleep. “What are you doing?” Allison demanded. And with those words the man and Flipper vanished. Three months ago I was a seed. For eighty-two days I’ve grown, but at a slower rate than the rest of the crop. As the summer heat migrated south, fall’s coolness brought excitement to the pumpkin patch. Rumors spread among the pumpkins that people would soon come to select their favorites to take home and decorate – to become part of the family. This was ‘the season of the pumpkin,’ it was said. Of course the biggest pumpkins bragged about how they would be taken first. Lester was the largest among us, and why wouldn’t he go first? He was huge, with a spotless outer coat. I was only half his size, and I had spots. Who was going to want a scrawny, flawed pumpkin? I knew the destiny of flawed and unwanted pumpkins. Once the weather turned from cool to cold, whatever pumpkins were left in the field would remain, rejected and alone, until they rotted away. This would surely be my lot. Finally the day arrived. The first people showed and took two, large, beautiful specimens, neither of which was Lester. He went the next day and they had to use a wheel barrel to haul him off. Within a few days the crowds increased and soon pumpkins left by the dozens every day. Weeks passed and to my delight I continued to grow. I finally reached a size I was proud of. But my spots had also grown. The story was that people only came for a short period of time. I had begun to accept I would never leave the pumpkin patch when the unthinkable happened. Scariest? That sounded amazing! Take that Lester! He might be the biggest but I was going to be the scariest. Greg and Paul took me home and for three days I sat by myself on the front porch. I wondered about their grand plan. I felt abandoned and my excitement waned. Did they forget about me? I learned one thing useful during this time. Paul had a mole on his upper lip. That’s how I could tell them apart. Finally, as the sun stood straight above, Greg hauled me inside to decorate me. I was so excited I thought pumpkin seeds sprouted inside me. I would soon be scary! This was gong to make all of those hot, agonizing days of growing to maturity worth it. Paul began to draw. He lightly glided his gray stick across my ticklish shell. At first it felt good but soon turned into sheer torture. His slow, meticulous strokes seemed to never end. Suddenly a sharp pain stabbed me at the top. Greg circled my stem then ripped it from my body. I had been wrong; the tickling was not the worst experience possible. They were just getting started. Paul and Greg took turns ripping out my insides, a fistful at a time. There was no gentleness or love to their actions. They ripped like they didn’t care; oblivious to the pain they inflicted. Once my insides were empty and my inner core smooth, Greg started in on me again with the knife. He cut jagged lines then holes, each excruciating stab and pull ripped away at my shell. I wanted to scream, and even though they had created a mouth for me I couldn’t protest. It ended like it started – abruptly. They replaced my top and returned me to the front porch. Greg gave Paul a high-five – apparently I was as ugly and horrifying as they had planned. I sat the rest of the day trying to take pride that I was part of a family and not alone in a field rotting away. In all of the excitement at the pumpkin patch, no one mentioned the grueling transformation process. I was relieved to have it behind me. When darkness came Paul and Greg returned. They removed my top and placed a small, waxy candle inside. ‘I wonder what that’s for?’ I asked myself. Greg pressed a button on a red stick and a flame of fire jumped out. His lit the candle and replaced the lid. It was a chilly evening and at first the fire inside me was warm and inviting. After a while the comfort of the fire turned to agonizing torment. Later they brought out other decorations to put around me. Two skeletons, a fake black cat, a hand that sprang from a chest when someone got near, and a large, hairy spider that glowed an eerie red. Another high-five between the brothers brought me no satisfaction. I wanted relief from the fire. Finally, Paul lifted my top and blew out the candle. The night brought cold and frost and at times I wished I had a fire inside to warm me. I remembered how painful it had been and was thankful the fire was out. Every night for a week the two boys lit the candle and let me suffer for several hours. At last the big night came they kept talking about – Halloween. I wanted to be as excited about it as they were, but every other time I had gotten excited about something I ended up disappointed. Their eager anticipation created anxiety for me. Halloween was like any other day and I was beginning to wonder what all the fuss was about. The sun began to set and Paul and Greg came out to light my candle. That’s when I realized the seriousness of the Halloween celebration that people observed. Paul wore an oblong, black hat with pointed ends, a patch over one eye, a white baggy shirt and baggy pants. His left hand was gone and in it’s place was a hook. Greg had a bandage wrapped around his head with blood oozing through. He wore a neck brace, a cast on his right arm and another on his left leg, which was propped straight out as he sat in a wheelchair. I instantly felt ashamed at my anger toward them. Paul had cut off his hand and poked out his eye. Greg had broken his leg and arm and did something severe to his head – it was still bleeding. My suffering was minor compared to what they must have experienced. They were as committed to this holiday as they insisted I be. Suddenly I felt proud that I was such an integral part of their ritual. Paul pushed Greg as they left to go forth and celebrate the holiday. For the next several hours all sorts of strange little people came by the house – most of them screaming in fright as the hand jumped from the chest. Many times I heard people say, “Oh, look how scary that pumpkin is!” I beamed with pride. Many others were as committed to this holiday as Paul and Greg. I saw cuts, bruises, blood, extra appendages, transformed faces. Some had even turn into animals, monsters, and aliens. After seeing the way the children gave of their bodies to this holiday I wondered if any of these adult would sacrifice their children at the end of the night. Hours later Greg and Paul returned with two large sacks. They were really excited about the candy, so I assumed they returned with more than their mom had given away. The visitors slowed to a trickle then stopped altogether. It had been an exciting but exhausting night. I hoped I would get my candle extinguished soon, although I wasn’t going to complain after seeing how everyone else was willing to suffer for the occasion. As surprising as everything about the evening had been, the biggest surprise came at the end. Paul exited the front door and picked me up. His patch was gone and his eye looked fine, so I concluded he hadn’t poked it out. Then I realized he had two hands. Where was the hook? Did he re-grow his hand? If so, maybe I could re-grow my insides. Hope sprouted where my insides had once resided. Then another shock. Greg joined us without his wheelchair. How had his leg healed so quickly? And his arm! He carried a long stick with an arm that had been in a cast a few minutes ago. They had healed quickly. Maybe I would heal too! Greg unwrapped the bandage from his head and other than a few small red spots it looked fine. I began to put the pieces together – they had only pretended to be hurt. But why? To mock my suffering? What a twisted sense of humor! Had all of the other children pretended too? My anger raged at this complex and cruel hoax. When Paul blew out and removed the candle relief flooded me and I thought my days of suffering were behind me. Paul carried me to the street. Even after all of the suffering it felt good to be a part of the family, the tradition, the celebration. Paul tossed me into the air and for the first time I felt free. Greg swung the bat and connected with full force. My shell caved and I soared through the air full of despair. My saviors from the pumpkin patch had finalized their abuse. They returned to the house, leaving me beaten and bruised in the street. Was this any worse than lying in the pumpkin field, alone, never to experience the joy of being selected? I doubted it. For months I had believed Halloween was the most exciting event, that I had been grown to be a part of the festivities. I wondered if all the other pumpkins had similar experiences as me. I supposed so. I was disillusioned and even though I wished it all would end I didn’t give up hope. Was this really how I would go out – rotting in a street, alone? A light came from a distance and slowly grew in size and intensity. Maybe this was someone coming to rescue me. Dare I hope? It was Halloween after all – a night of magic and fantasy! I wanted to believe. I tried to believe. My faith grew and by the time the light arrived I knew this was my chance to be renewed, reborn. What was the next step in the evening’s celebration? Ours has been a simple relationship that flourished in spite of any differences we may have had. I didn’t care about your political or religious views and you didn’t care about mine. I’ve respected your consistency in avoiding controversial issues. For example, you stopped the Dallas Cowboys from wearing decals in honor of five local police officers who had been murdered. You vowed to fine players who wanted to wear specially-designed cleats in honor of the fifteenth anniversary of the 9/11 attacks. You fined Robert Griffin III $10,000 twice for wearing Adidas apparel — once on the field during pregame and once during a post-game news conference. Those fines led the injured quarterback to turn his Know Jesus Know Peace t-shirt inside out for a news conference to avoid another fine. I may not have agreed with every decision you made, but I respected your stance to remain neutral and avoid the appearance of choosing sides. I don’t know what happened, but you’ve changed. Instead of restricting political protest, you allowed a player to kneel during the national anthem, even though your rules stated they should stand out of respect. Then you allowed whole teams to remain in their locker rooms and not participate in the national anthem. Does this mean players are allowed personal expression during the national anthem but not during pre-game or post-game activities? And does it mean you would have allowed the Cowboys to kneel during the national anthem to recognize the murdered police officers? Or allowed players to kneel in order to bring attention to the anniversary of the 9/11 attacks. Can players kneel to bring awareness to Jesus? You decided a political issue was more important than the game, in spite of how it might make me feel. I don’t know how else to interpret your decision. It is your choice. You have the right to make the decision. But you’re not the same NFL I loved. I don’t feel like I know you any more. Why would you do this? Millions of Americans have a deep-seeded love for the flag, the national anthem, and the pre-game ceremony. Kneeling during that ceremony insulted them. You might as well have disrespected their moms, as deeply as they are hurt. Not a smart way to begin a conversation or develop sympathy for your cause. I thought you were smarter than that. I should thank you, really. For many years I didn’t think I could live without you. When you were around nothing else mattered, and I thought about you often between our times together. We have lots of good memories. But it’s over. Last year I followed closely the decisions you made and was gravely disappointed. So much so that I needed a break. That’s when I discovered something fascinating. I could live without you. In fact, now I’m thriving and happy without you. I’m sorry if that hurts, but it’s the truth. So thank you. Thank you for showing me who you really are so I can move on with my life. I’m not avoiding or boycotting or trying to punish you. I’ve just lost interest. I killed my first snake today. I’ve seen a few snakes in my life but I’ve never been close enough for long enough to kill one. But today was different. Today, that angry, vicious seed of Satan didn’t give me a choice. I have no remorse, and I would gladly do it again, though I hope it never comes to that. I’ll see this one in my nightmares. Look, even though snakes are the spawn of Satan (any good theologian will confirm it) I don’t go around wishing them ill will. That only happens when I see one. This snake, which I’ll call Sneaky from now on, obviously had evil intentional as it DID NOT make its presence known until it arrive at the perfect kill distance. I had been mowing for half an hour, so Sneaky had time to position himself for the perfect strike. Sneaky had calculated that with the element of surprise it could take me down. But Sneaky had not done its homework because it didn’t realize how quick I am. Nor had it planned against my powerful fear of snakes. And don’t give me this garbage of how snakes are more afraid of me than I am of them. Sneaky was anything but fearful, as proven by its well-planned attack. But even if Sneaky felt fear, it could not have surpassed mine without falling into a self-induced coma. It’s true, I may have been a bigger physical specimen than Sneaky, but at nearly eighteen inches long, this was no toy to be played with. Sneaky was easily the most frightening creature I have ever encountered. While I performed my neighborly responsibility of beautifying my lawn, Sneaky darted in front of my mower like a blur. Fortunately, my instincts took control before my conscious mind had time to register the threat. Otherwise, I might not be around to finish raising my children. I shoved the mower forward and caught just enough of Sneaky to stop it in its tracks. If I hadn’t used my amazing quickness to catch its tale with the mower blade, no telling what unfathomable evil move Sneaky would have performed next. Fortunately for my sake, and frankly the community of Halstead at large, I stopped Sneaky dead in its tracks. I was probably the first in its planned killing spree. I’ve seen plenty of horror movies and I knew once I had put a stop to Sneaky that my job was not complete. I pushed the mower forward, while stepping back in case Sneaky revived to slide out the back of the mower and attack. I left the mower on top of Sneaky for at least thirty seconds. Okay, that might be a bit of an exaggeration. I left the mower on top of Sneaky for a good minute, to make sure it would never terrorize Halstead again. I didn’t kill Sneaky for the fame, or for revenge. Sneaky forced my hand. That being said, I’m proud of my accomplishment, even though I may now be suffering from PTSD. In spite of the recurring nightmares and long-term disability I now face, I would do it all over again for my children and my community. I expect the mayor will call any day to offer congratulations, and probably a medal and small ceremony. I suppose I’ll accept, if for no other reason than to send a warning to all other snakes in the area. Jeremy neared his cousin Vinny’s house in an all-out sprint. Almost there! He came to an abrupt stop when he saw a black and white ahead in the distance. He quickly turned and ran the other way, and turned right at his first opportunity. Glancing behind as he turned, he believed he had escaped detection. Another black and white appeared and he immediately made a left. He had only been a few blocks from Vinny’s house but now was going in the wrong direction. The kicker was that he should have been safely inside fifteen minutes ago. He had gotten lost and by the time he found his way back on the right path the black and white had cut him off mere blocks from safety. Originally, the plan had been to return to the house in ten minutes, maybe less. Now he approached half an hour of continuous running. Jeremy wasn’t in shape for this. He ran for another block then stopped, exhausted. He couldn’t keep running in the wrong direction or he would never make it to safety. He glanced back and saw another black and white. He couldn’t tell if this was the same one he saw earlier or if this was a different one. It didn’t matter – he couldn’t afford to be spotted. He took off at full speed again. If he had remembered to bring his cell phone he could have called his cousin for help. Stupid oversight! Surely Vinny had started to worry by now, but would he come looking for Jeremy? He couldn’t depend on it. He had to assume he was on his own. Another black and white appeared up ahead, but this time when Jeremy turned he was running towards his cousin’s house. He ran clear for a few minutes and finally caught view of the safe house just two blocks ahead. Adrenaline kicked in and he picked up speed. Al…most…there. Yikes! Jeremy suddenly stopped, narrowly avoiding a collision with the black and white that darted in front of him. Should he remain frozen or take off the other direction? He cautiously turned, but before he could make a break for it another black and white sandwiched him in. His options were diminishing. Jeremy took a step to the left; another black and white. He feared the worse. He turned to dart to the right, but slipped and fell. Jeremy jumped to his feet but his clumsiness had cost him. Before he could escape, the three black and whites raised their tails and squirted.